The integral transforms most often encountered in applications, notably the Fourier transform, owe their importance to the manner in which they map operations on the functions subject to the transformation onto operations on the transformed functions: the Fourier transform turns the operations of differentiation and of translation into operations of multiplication; and these two facts are closely connected in that differentiation is the infinitesimal operator of the group of translations of functions. There are numerous other familiar examples. 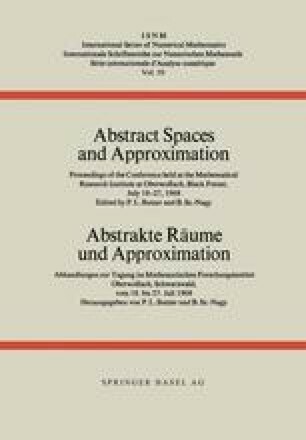 Plancherel  and Kober ,  have used particular functional equations in order to investigate properties of the functions which satisfy them. These considerations suggest that it will be useful to study the types of functional equations which arise in connection with linear transformations of function spaces on which a group of transformations acts.